Tina is a professional Mortgage Agent with Dominion Lending Centres-The Mortgage Source, the largest mortgage brokerage in Canada. Tina began her career with a major chartered bank. Then, after working with the bank for fifteen years, Tina decided to take her career the next step. 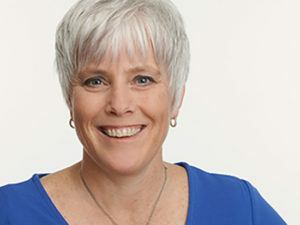 She left the bank in 2010 and joined Dominion Lending Centres, as an independent mortgage agent, working from her home. She has never looked back!! The newest development in Tina’s story, is the opening of her office location in the Creekside Centre in Kemptville, Ontario in October of 2016 As a wife and mother to three energetic teenage boys, Tina understands busy and the financial demands and obligations necessary to maintain a lifestyle in todays world. Tina believes it is important to give back to the community she lives in and spends a great deal of time volunteering. She is involved in the Leadercast, Children’s Ministry and of course, with her boy’s soccer and hockey teams. Tina is also an active member of Centennial Road Church. do change regularly. It is also important to be familiar with the many different available products and services that Dominion Lending Mortgage Agents have access to from various lenders, including chartered banks and private funders. All this knowledge allows Tina the necessary tools to keep on top in the mortgage industry and the ability to meet all of her client’s financial needs. Specializing in purchases, renewals, construction mortgages and refinancing, Tina will work for you to ensure that you get the best deal for your mortgage. Give Tina a call today and remember: At Dominion Lending Centres-We Have a Mortgage for That! !